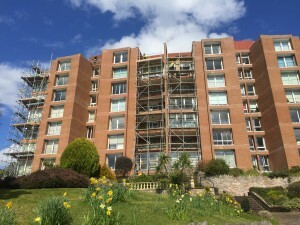 We offer competitive, reliable scaffolding services to a wide range of clients (both residential and commercial) in Torbay, Exeter and the surrounding areas. Our expertise enables us to quote the correct scaffold for your job. 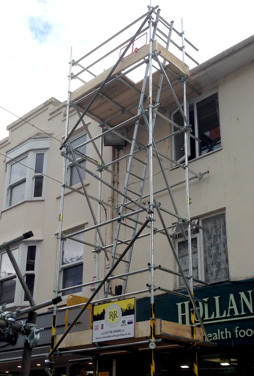 Our scaffolds are designed and built by us to suit your needs and within stringent Health & Safety regulations. Our safe working practices, along with our understanding of current Health and Safety regulations will ensure a safe start for your employees/contractors. Building Torbay Limited will work to your timelines and can offer totally flexibility to your hire: extending any hire period, or adaptions to existing scaffolding should your requirements change.